The Anhänger (B 2) 3t, offen (Anh. 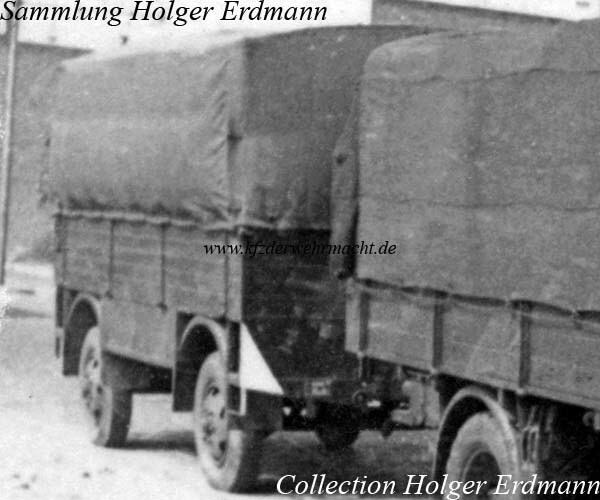 312) - a standardised trailer for 3 tons payload - was mainly used by units of the Luftwaffe. The Ackerman steering was typical for this trailer type. 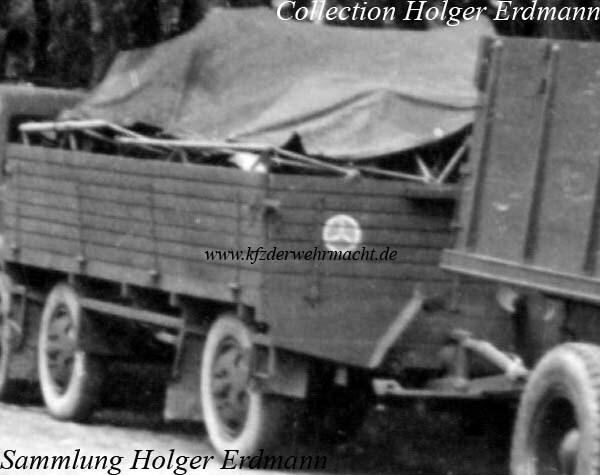 The trailer in the photo is a Anhänger B 2 with closed tarpaulin. For sure, the chassis of this trailer is a B 2 chassis. The superstructure could not be identified so far. Most probably, this is an Anh. 312 which was heavily damaged, so the troop had to replace the platform by a platform from a different trailer.